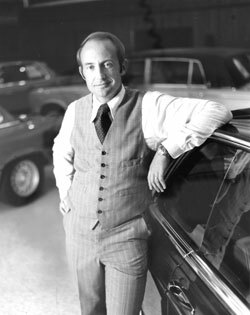 Ken Garff Automotive Group acquired Ferrari of Salt Lake City and Maserati of Salt Lake City, formerly Ferrari and Maserati franchises with Steve Harris Motors in Salt Lake City, in 2013. This acquisition made Ken Garff a leader in retailing luxury brands in Utah. 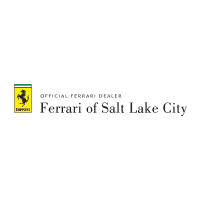 Ferrari of Salt Lake City is one of the premier luxury car dealerships in the west, known for their quality of vehicles and parts. Buying and owning a Ferrari isn’t just a decision, it’s a lifestyle choice. Here at Ferrari of Salt Lake City we want you to feel that lifestyle choice from the moment you walk in, and every moment after. We are affiliated with Ferrari racing clubs across the country, and Utah also participates in luxury vehicle racing throughout the year. Visit Ferrari of Salt Lake City today to start on your luxury car journey. Q. 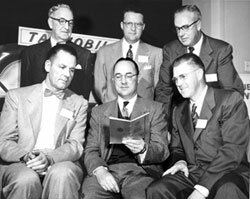 What makes and models do you sell? A: Here at Ferrari of Salt Lake City we offer new Ferrari models, as well as pre-owned vehicles. In our pre-owned inventory, we have an ever-changing inventory consisting of quality, high end vehicles. Q: What are the best vehicles for winter driving? A: Ferrari of Salt Lake City offers you the stylish designed sports car coupled with an AWD option in some models. There is no compromise when you are looking in Salt Lake City for your next Ferrari. We give you the winter control you’re looking for. Q: Where can I get my Ferrari serviced? A: The best place to get your Ferrari serviced is in our service center, located at 543 State Street. Schedule service online or call our service department at (888) 517-6597. Keep your Ferrari running smoothly by letting our highly qualified technicians maintain it properly. To order parts, call (888) 634-5418 or fill out our parts request form. Q. Can I finance my Ferrari? A. Yes! We have lots of options, and all kinds of credit can qualify for a loan. No credit, no problem! We will work with you to get you what you need. Low interest car loans are available for customers with existing loans. You’re just one step away from financing! Visit our Finance Center for more information! Ferrari of Salt Lake City	40.7513407, -111.8915716.